Top Gear Korea is the South Korean adaptation of BBC’s popular Top Gear show. 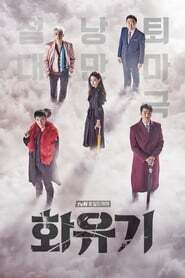 Officially announced on June 21, 2011, the show follows a similar format with the British version and season 1 included 3 presenters: singer and professional driver Kim Jin-pyo, actor Yeon Jung-hoon, and actor Kim Kap-soo. It premiered on cable channel XTM on August 20, 2011. The show uses a circuit in Ansan city, which is not used for racing but just for tests and social events, as the main test facility and the Power Lap Time track. Korea International Circuit, the venue of Korean Grand Prix and Taebaek Racing Park are used for some episodes.